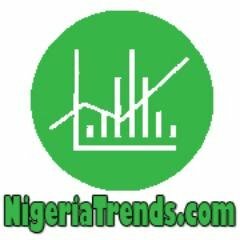 NigeriaTrends | KOGI State — Kogi State Government has declared Monday, August 21st, 2017 as Public Holiday and Thanksgiving Day over the safe return of Nigeria President Muhammadu Buhari. This is politics as usual. Governor Yahaya Bello of Kogi State who stated this through his Director General on Media and Publicity, Kingsley Fanwo in a statement said the day will be used to thank the Almighty God for the safe return of President Muhammadu Buhari in sound health and mind. According to Governor Yahaya Bello, the gesture is in-line with the support of the Kogi people for the renaissance of the nation by the President. He also urged Kogites to also use the occasion of the Public Holiday to pray for Mr. President as he resumes his responsibilities of repositioning Nigeria. Recall that President Buhari left the country on May 7th, 2017 for a medical vacation to the United Kingdom and returned back after spending over 100 days. Recall that a Nigerian group, Civil Society Organisations (CSOs) have been calling on Muhammadu Buhari to either resume office or resign as the president of the Federal Republic of Nigeria. The protest, including the ‘Our Mumu Don Do’ movement backed by Charlie Boy, kicked off ninety (90) days after Buhari left the country to treat an undisclosed ailment in London.